Experience the magic of the lamp. Emilio Santini, and a cadre of glass artisans, demonstrate their craft—from bead and marble-making to goblet and magnificent figure-making—in on-the-spot presentations. The “spicy gumbo” sounds of LeeRon Zydeco & the Hot Tamales offer a unique blend of zydeco, cajun, carribbean, blues, tex-mex, and New Orleans funk. 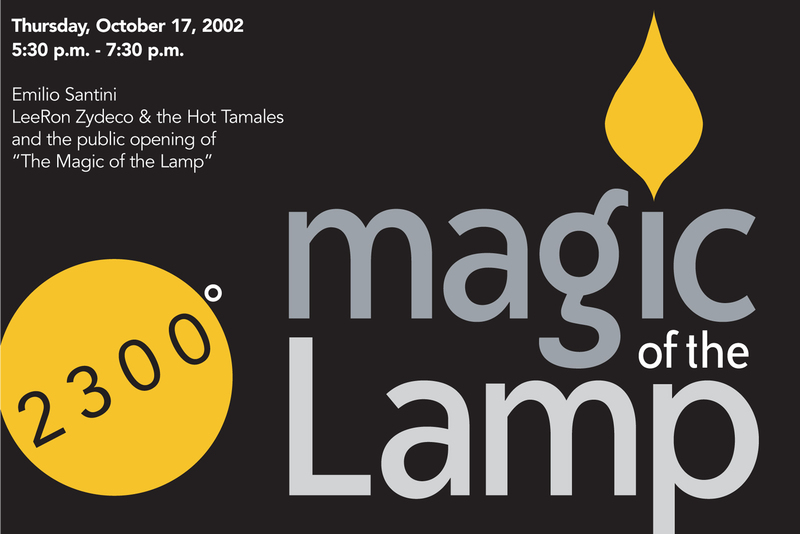 Public opening of The Magic of the Lamp, a colorful and diverse show illustrating flameworking. Enjoy food and beverages available for sale.